Cardinal Carpet & Air Duct Cleaning Co. I have been cleaning carpets for 28 years. In that time I have learned from my clients what they are looking for in a carpet cleaner and I know how to go beyond their expectations! That makes this the most important website for carpet cleaning you can find! 100% Money Back Guarantee! In fact, if you are not thrilled, you don’t pay me one penny! A cleaning process totally safe for kids and pets. A cleaning process that kills dust mites and removes their feces. Carpets dry within 2 to 3 hours. Pre-vacuum all accessible areas including carpet edges. Foot-covers (Booties) used while in your home and provided for you when the job is completed. A cleaning process that not only makes your carpets look great, feel soft again, but removes harmful chemicals tracked in from outside. Making your carpets look like new again. Protecting your trim with corner protectors. Door Guard used at entrance. Carpet runners put down to protect areas we are not cleaning. Free bottomless bottle of Spot Cleaner. Air movers used to accelerate drying. Maintenance Programs provided at a reduced rate so that your carpets always look like new. Free Room of carpet cleaning offered to your family, friends and neighbors. A cleaning process that improves indoor air quality by removing dead skin cells, dander and allergens that have built up in your carpet and get dispersed into the air as you walk through your home. A carpet cleaning process that removes sand and grit that wears permanent, unsightly traffic lanes through your carpet. A carpet cleaning company that you can trust to be in your home. A carpet cleaning company that you can refer with confidence to your friends and family. These are the things you the customer have told me you are looking for when you invite a carpet cleaning company into your home. These are the things I give to you when you choose me as your carpet cleaner. SPRING CLEANING SALE!! Every third room is FREE for air duct, carpet, hardwood, ceramic tile & grout cleaning. We are so confident in the quality of our carpet cleaning services that - if it isn’t the most thorough carpet cleaning you’ve ever had or it’s FREE! Get a free in-home carpet audit to ensure the highest level of customer service possible. We educate you about the process before you buy! We offer multiple 5-star residential services for the St. Louis, Missouri metro area. Our carpet cleaning and protection services are considered the best by many because of our 100% money-back guarantee. A few of our services include air duct cleaning, auto/RV carpet cleaning, home carpet cleaning & protection, rug cleaning, upholstery cleaning, mattress cleaning and grout & tile cleaning. 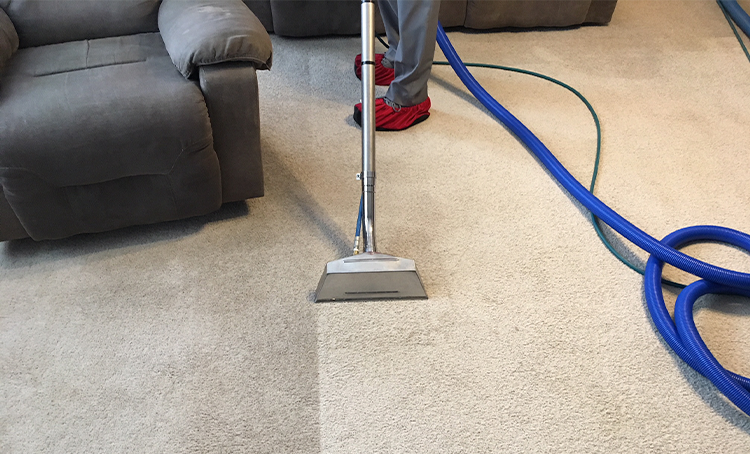 Find out about our carpet cleaning service that is considered the best by many in all of St Louis, Missouri. Backed by our 100% Guarantee! We are sure to clean your rug safely to maximize its life. Proper techniques and equipment should be used to ensure its in the best shape possible. Keep your automobiles interior clean with our Auto/RV interior cleaning service. Upholstery that you use everyday including couches, chairs, and ottomans deserve to be clean for the health & comfort of your family & guests. Air quality in 19 out of 20 homes is considerably more polluted than the air found in most major cities. Read what our customers have to say about the team at Cardinal Carpet Cleaning. Our commitment to customer service and quality service in the St. Louis, Missouri area is unmatched. The Cardinal Carpet Cleaning team offers carpet cleaning & more services for most of the St. Louis, Missouri metro area. Our service area includes Ballwin, Chesterfield, Clayton, Frontenac, Kirkwood, Ladue, O'Fallon Missouri, St. Charles, St. Louis, St. Peter's, Town and Country, Webster Groves and Wentzville. We offer carpet cleaning packages for St. Louis area homes. From silver to our platinum maintenance packages, discover deals that save you money and your families carpet. By taking my clients’ needs, wants, and concerns into consideration, I have put together three packages designed to give you the best value for your specific wants and needs. Depending on which package you choose, you may never have to pay full price for my services. Discover tips, common mistakes, and FAQs about St. Louis area carpet cleaning services. Other companies hide behind over-the-phone quotes and bid low because they cut corners on the quality of service. At Cardinal Cardinal Carpet cleaning we never hide behind the phone or cut corners when it comes to servicing your home carpet, upholstery and more. If you’re thinking about having your carpets cleaned, we encourage you to follow these four simple steps to ensure you get the best possible customer service and work possible. In this article we dive into eight mistakes that you should avoid when choosing a carpet cleaning company to service your home. We lay out the “do’s” and “dont’s” for you. Read six common misconceptions about carpet cleaning and the industry as a whole. The Cardinal Carpet Cleaning team deep-dives into each to explain the ins-and-outs you should understand. Tips to avoid 4 common carpet cleaning rip-offs. From low price to the bait and switch unsupported claims read this article to educate yourself about common rip-offs in the industry. Read our frequently asked questions before you choose a carpet cleaner for your home. Many carpet cleaning companies in the St. Louis, Missouri area hide from questions, but the Cardinal Carpet Cleaning team embraces questions and hopes you take everything into consideration before choosing a service company.